Give your skin power over shine and imperfections. 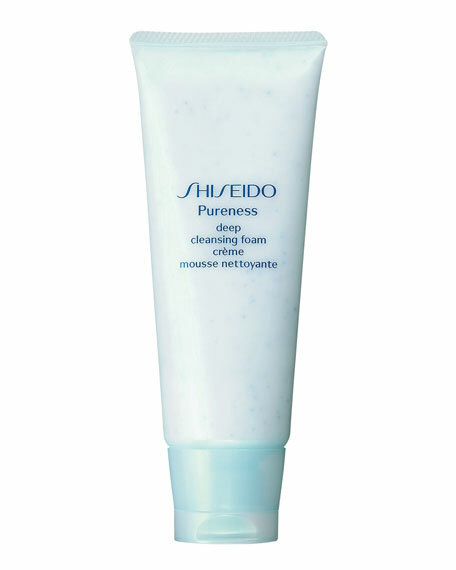 This ultra-fresh foaming facial cleanser with gentle purifying granules helps exfoliate skin and effectively lifts away pore-clogging impurities, makeup and oil that can lead to imperfections. Feels gentle and cool on the skin. Recommended for oily and blemish prone skin types. Create a generous lather with a small amount of water and cleanse gently with circular motions. Rinse well. For in-store inquiries, use sku #2139924.